We currently hold the Safe Quality Food (SQF) Level 3 certification, which is a comprehensive, globally recognized food safety and quality management certification system for food manufacturers, packagers, brokers, primary producers, and distributors worldwide. 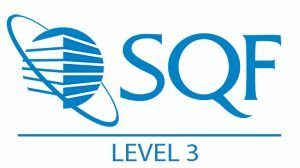 SQF Level 3 Certification is the highest and most comprehensive food safety and quality assurance level within the SQF code and is accepted as an international standard of excellence. The certification is achieved when a company demonstrates an exceptional food safety and quality management system. We hold our USDA certification, which is required by law for any business handling or packaging USDA certified food. There are a series of strict documentation and fees that must be paid in order to apply for the certification. The USDA certified inspector conducts an on-site inspection to ensure compliance with the USDA organic regulations. To get more information about USDA certification you can check out the guidelines here. By holding an FSC certification we are verified that our products are handled correctly at every stage of production from forest to shelf. The FSC certification ensures that we adhere to the ten rules that cover the essentials of responsible forest management. All of these rules apply worldwide, throughout all ecosystems, cultural, political and legal systems. The G7 master certification is an internationally recognized methodology for calibrating printing presses and proofing systems. This qualification essentially raises the bar for color matching performance and guarantees you work with some of the top printers in the market. The certification provides our company to be a leader in the print production industry by having someone who is skilled, tested, and certified. This also works to reduce costs, have quick turnaround time and improve brand consistency. A GMP certification from SGS ensures the integrity of your food manufacturing process as well as your compliance with food safety regulations. This is extremely important for consumers and businesses when choosing a manufacturer for packaging. The requirement entails minimum common sense sanitary and processing requirements applicable to all food processing manufacturers. We are AIB certified and that means we have had intensive food defense training, which has allowed our teams to understand the concepts of how to develop and evaluate an effective Food Defense Plan to minimize the risk of intentional contamination. Our specialized team member has the skill to conduct an effective vulnerability assessment to identify hazard, assess risk and provide mitigation strategies. GMI monitors, measures and certifies the performance of packaging suppliers around the world. GMI works with product vendors and packaging manufacturers establish a process to manage enhance and manage production and packaging quality while building brand equity. Target’s responsible sourcing programs include Social Compliance, Product Safety & Quality Assurance and Sustainability, Global Supply Chain Standards and our Standards of Vendor Engagement and capacity. Walmart Stores, Inc. “Standards for Suppliers” compliance requirements and programs include Responsible Sourcing, Food Safety, Health and Wellness, Product Safety, Global Supply Chain Security and Factory Capability and Capacity Audits.